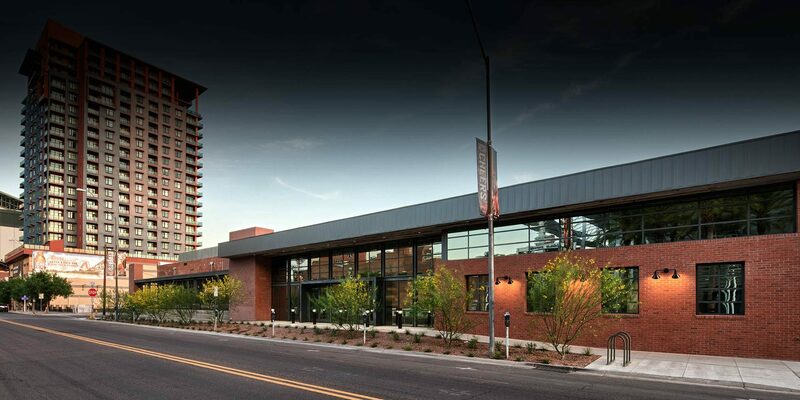 Nestled in the heart of Downtown Phoenix’s Legend Entertainment District, directly across the street from Talking Stick Arena and one block west of Chase field is our corporate event venue, Events On Jackson. 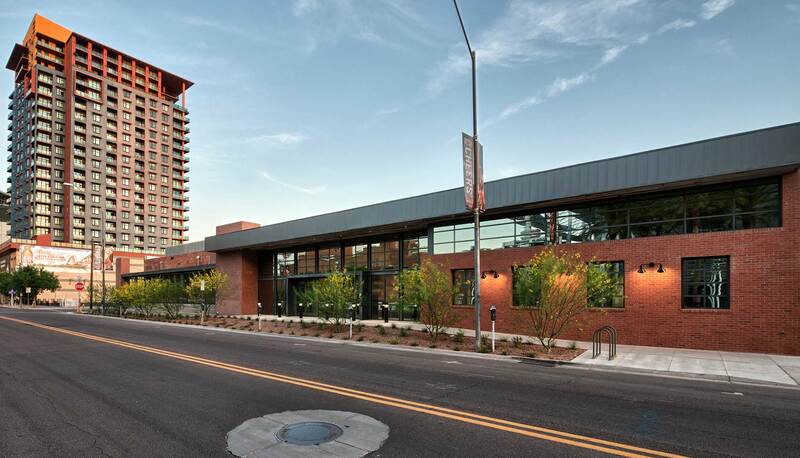 Just south of the business skyscrapers of Downtown Phoenix, our neighborhood – the Warehouse District – is built at a human scale and filled with historical warehouses. They house a diverse mix of offices, restaurants, art galleries, bars, and tech startups, all led by visionary leaders who saw beyond the area’s neglected past to the area’s future, filled with potential. At the intersection of history, creativity and technology, both budding and established businesses are flocking to the area. Phoenix Mayor Greg Stanton has proposed to designate our area as an Innovation District, and more and more companies are relocating here to be part of the community. We are proud to be part of the future of Downtown Phoenix’s growth, and welcome you to explore our neighborhood and tour our space. Learn more about the area the Warehouse District’s website. Driving: Take the 1-10 West and get off at exit 148 for Washington Street. Watch for signs to Downtown and merge onto Washington. Turn left on 3rd Street and right on Jackson. Light rail: The closest light rail stop coming eastbound is at 3rd Street and Jefferson. If you’re heading westbound, get off at 3rd Street and Washington. Head south on 3rd Street and turn west onto Jackson. Bike: We have bike racks out front on Jackson. Or, hop on a Grid Bike Share green bike to get around Downtown! There is a lock-up station directly across from our building on Jackson Street.